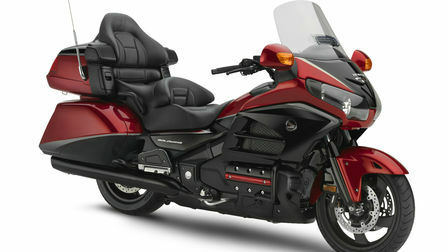 On account of the increasing popularity of Honda in India, the company has launched a very widely known touring motorcycle which is named as THE Gold Wing. This fabulous and extraordinary bike has been priced at Rs. 28.50 lakhs in India. The exterior of the bike complements with what powers this beast. Having a 6-cylinder engine with a capacity of 1832 cc, the bike is apt for hitting the road as and when required. What adds to the beauty of this motorbike is the installation of 80W 6 speakers with SRS surround sound along with independently heated seats, foot warming pedals, etc. These features give this bike a unique look amidst others in the crowd. The officials at Honda Motorcycles & Scooters India have claimed that the bike will be launched in India on the occasion of its 40th anniversary. They hope of achieving a high-end response from their valued customers of India. This Gold Wing – GL1800 will be available in various colours. The Dual Tone Candy Performance would cost around Rs. 28.50 lakh, which is its ex-showroom price in Delhi.